Read these books and talk about them with your friends. Write a comment below about why you think your favorite should win the Dragon Award. Vote for the Dragon Award anytime between October 29th and November 6th. The winner will be announced online on November 7th. Catrina and her family are moving to the coast of Northern California because her little sister, Maya, is sick. Cat isn’t happy about leaving her friends for Bahía de la Luna, but Maya has cystic fibrosis and will benefit from the cool, salty air that blows in from the sea. As the girls explore their new home, a neighbor lets them in on a secret: There are ghosts in Bahía de la Luna. Maya is determined to meet one, but Cat wants nothing to do with them. As the time of year when ghosts reunite with their loved ones approaches, Cat must figure out how to put aside her fears for her sister’s sake -and her own. Nicholas Allen has plenty of ideas. Mrs. Granger, the language arts teacher, is a fanatic about the dictionary, which is hopelessly boring to Nick. But when Nick learns an interesting tidbit about words and where they come from, it inspires his greatest plan yet: to invent a new word. From now on, a pen is no longer a pen — it’s a frindle. It doesn’t take long for frindle to take root, and soon the excitement spreads well beyond his school and town. His parents and Mrs. Granger would like Nick to put an end to all this nonsense. But frindle doesn’t belong to Nick anymore. All he can do now is sit back and watch what happens. The following are some items you will need for Kitty’s bath: one bathtub, plenty of water, dry towels, a suit of armor, a letter to your loved ones, clean underwear (because stressful situations can cause “accidents”), an ambulance in your driveway with the engine running, and, oh, yeah, you’ll also need Kitty…but good luck with that! A young girl learns she’s half mermaid and plunges into a scheme to reunite with her father in this entrancing, satisfying tale that beckons readers far below the waves. For as long as she can remember, twelve-year-old Emily Windsnap has lived on a boat. And, oddly enough, for just as long, her mother has seemed anxious to keep Emily away from the water. 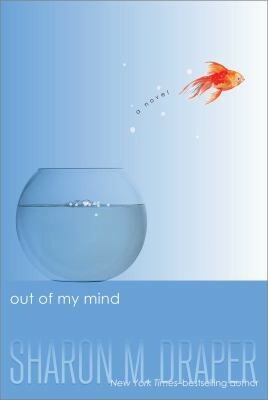 But when Mom finally agrees to let her take swimming lessons, Emily makes a startling discovery — about her own identity, the mysterious father she’s never met, and the thrilling possibilities and perils shimmering deep below the water’s surface. Having a little sister like four-year-old Ramona isn’t always easy for Beezus Quimby. With a wild imagination, disregard for order, and an appetite for chaos, Ramona makes it hard for Beezus to be the responsible older sister she knows she ought to be…especially when Ramona threatens to ruin Beezus’s birthday party. Will Beezus find the patience to handle her little sister before Ramona turns her big day into a complete disaster? i would read on the daily. Ghosts is very interesting! It is definitely a book you could read on the daily. Thanks for the comment! I think that Ghosts should win the Dragon Award because I have read the book and its very interesting book and I love comics. Comics are a good way to tell a story. Glad you liked the book! Be sure to vote for it October 29th-November 6th! I think Ghosts should win the Dragon Award because it looks spooky and like it would interest me. Let us know what you think after you read it. Was it really spooky or what? I think Ghosts should win because i have it at home and i read it all the time and it is a very good book! and that is why it should win. Addison, I am so glad that you enjoyed Ghosts. It is always great to find a book that you like to read over and over again. Don’t forget to vote starting next week. I think Ghosts should win because i have it at home and i read it all the time and it is a very good book! I think BAD KITTY should win the DRAGON AWARD because it’s very funny. It is very funny. Be sure to vote for it October 29th-November 6th! I think Frindle should win the dragon awards its a seams like a good book with normal school rules and a decent trailer. Frindle is a classic! Be sure to vote for it October 29th-November 6th! I think Ghosts should win the Dragon Award because it looks like a good book and I like books about ghosts and I also like graphic novels. Be sure to read it to find out the stories behind the ghosts in Ghosts! That is the best part! I think that Ghosts should get a Dragon Award because the trailer made it sound good and I’m a big fan of graphic novels and Ghost is really spooky! If you liked the trailer you will definitely like the book. You will find out if it IS actually spooky! I think Ghosts should win the dragon award because i have read it and it is a very interesting book and i love graphic novels. Ghosts is a very interesting graphic novel. What made you like it so much? Was it the story, the characters or something else? Thanks for the comment! I think Ghosts should win the dragon award because I have read the book before and it was a really good book. What was your favorite part? Do you like it because it is a graphic novel or was it because the story kept you on your toes? Be sure to vote for the one you thought was the MOST interesting. Have you also read the others? “coul” like “ghoul”. I see what you did there… Thanks for the comment! I think that Ghosts should win because, I have read it before. I love graphic novels and its super good. I love graphic novels, too! Be sure to vote for your favorite October 29th-November 6th! I think that the book GHOSTS should win because the trailer of the book looks interesting. The trailer really does sell the book! What was your favorite part? The book follows a family when they move, have you ever moved to a new city? I think that Bad Kitty gets a bath should get the dragon award cause it looks funny. Be sure to vote for your favorite October 29th-November 6th! Do you like graphic novels? Have you read the other books by the same author? Let me know what you think and be sure to vote after October 28th! I think ghost should win the Dragon award because it looks spooky and interesting. Do you believe in Ghosts? It’s a really cool story! I think ghosts is a good book and it should win the award because its funny. Not a lot of people say that Ghosts is funny, so thank you for thinking that! What was the funniest part for you? i think ghosts should win the dragon award because it is really really interesting and really really cool. Have you ever been to California, where the book takes place? Do you think that the setting makes a difference in the story? Was it important that the story took place in that city? I think Beezus and Ramona should win the dragon Awards because it is funny and it is cool and it is sily thats why i think it should win. Beezus and Ramona is a great book for all of those reasons! Thanks for commenting! I think that Ghosts should win the dragon award because it is fun and cool. I am so glad that you thought Ghosts was cool. What part was most interesting to you? Be sure to vote starting next week! i think BAD KITTY should be voted for the dragon awards because it is good. Do you like how mischievous Bad Kitty is? Do you have a cat like that at home? I definitely have a ‘BAD PUPPY” at home! i think Ghosts should win the dragon awards because it is really interesting and really really cool. Ghosts is a really cool book. It is always fun to find a new interesting story. Please vote for your pick next week! I think GHOSTS should win the dragon award because its closet Halloween and Ghost are cool and funny. It is closest to Halloween! Do you have a costume this year? Do you like to read Halloween books? Thanks for the comment! I think Ghosts should get the Dragon Awards because it is a all time favorite. All time favorite that is a big deal. Did you like it better than Smile? I am glad that you enjoyed it so much. Be sure to cast your vote next week. I think ghosts should win because the add is better. I am glad that you liked the trailer. I hope that you get some time to read the book to see if it is your favorite. I think that ghosts should win because i love ghost stories. This must be your favorite time of year if you love ghost stories! Thanks for the comment! I think Ghosts should win the Dragon Awards because it is a Graphic novel and it is about ghosts. Graphic novels are really great to read. I agree! I am guessing that you really like ghosts. I hope you get a chance to read it. I think ghosts should win because it is cool. Ghosts is a cool book. What was your favorite part of the story? Be sure to vote for your pick starting next week. I think that ghost should win. Well, if you want Ghosts to win then you will need to vote next week. See if you can get some friends to read it and vote for it. I Think GHOSTS Should Win The Dragon Award Because I Like The Pictures A Lot. The illustrations are awesome in Ghosts! Good pick! I think BAD KITTY TAKES A BATH should win because it has a good trailer and is funny. Bad Kitty is SO FUNNY! What was your favorite part? Do you like the characters or the plot best? I think the book Ghosts because all of the other trailers did not get my attention with reason. Interesting! What was in the Ghosts trailer that caught your attention? Was it the colorful illustrations of the idea of real ghosts in the story? Or something else? I think Ghosts should get the Dragon Awards because it is a funny book and has a lot of drama and it makes you get hooked on the book. I bet you couldn’t put the book down, it was so good! I am glad it hooked you in, and hope you read more from the same or similar authors! I thank Ghost should get the dragon award because it makes you feel like you are in the story. Definitely, with all the colorful pictures, it’s like your walking right next to her and all the ghosts on on the coast. That would be so cool! Their all really good books but my favorite was Ghosts should win because its interesting and it drama and I wanna read the book but what I did not like about Ghosts was that the trailer was too short but it did give a lot of detail and I liked the accent and the ghosts so pick ghosts. Ghosts really does have a good story, lots of drama. It will be fun to see how many people vote for it! I like all of the books but the one that stood out was Ghosts ,I think that Ghosts should win the Dragon Award because it is very interesting and I have read this book before and it is very good.And it teaches you about a holiday that other people celebrate. Isn’t it fun to learn about new holidays and different cultures? It would be so fun to celebrate every holiday ever, right? It would take all year! I think you should vote for the book Ghosts, because it is funny the trailer is good. Also is a interesting book. I am glad that you enjoyed Ghosts. It is nice when the trailer is good and the book measures up to the trailer. Be sure to vote for your favorite next week. I think that Findle should win because has funny moments and a great ending. I think Ghost should win cause its very funny. I love a funny book. I am glad that you liked Ghosts and you got a laugh out of it. Be sure to vote for your favorite next week. I think Ghosts should win because the trailer is very simple but yet it pulled me in it seems like a good book by the trailer it makes me wanna read the book. That is always the sign of a fantastic book, when something so short and simple can pull the reader into the story. Have you read any of the other books by Raina Telgemeier? Her prose is something to marvel at. I love how her words will pull you into the story and keep you there. I hope that Ghosts will win because it will grab anyone’s attention to read it. Its also very interesting. Brendan, those are great reasons to vote for Ghosts to be the winner of the Dragon Award. Get your friends to read it and hopefully they will vote with you for Ghosts to be the winner. Voting starts next week. I think that Ghosts should win the Dragon Awards because it is interesting and it will grabs a lot of peoples attention. Samantha, it is great to read a book that captivates your attention. It makes it easy and quick to read. Vote next week and see if it is the winner. BAD KITTY should win because its a great book with pictures. I agree that Bad Kitty has some great pictures. But so do some of the other books. In fact Ghosts is all pictures. So be sure to read them all and pick your favorite to win the Dragon Award. I think that Ghosts should because its funny and the it hooks you right at the beginning of the story. There is nothing like a good hook in the story to keep you interested in reading. I am glad that you liked Ghosts. Be sure to vote next week. I feel strongly that “Frindle” should win because I watched the trailer and it looks good. I hope the trailer made you want to read the book. It is a good one! I think Ghosts should win because the trailer looks cool and the book looks funny. I think that Ghosts should win because it is funny, it has tons of adventure, and it is a great book. I think GHOSTS should win the Dragon Award because it hooks the reader and its really funny. I think that GHOSTS should win because, it looks cool, and the trailer grabbed my attention. Ghosts is pretty great. There are so many wonderful pieces that pull this story together. I like the strong family and friendship aspects within the book. What was your favorite part? Thanks for the comment and happy reading! I think that Ghosts should win because the trailer was one, if not the only one that had some voices in it, and the fantasy part of it is something that the Amulet fans may like. I think Ghosts should win the Dragon award because I like it’s art style and I like it’s trailer. I think ghosts should win not because of the pictures but the book seems like a book I will understand and like. I think Ghost should win because it is funny. I think Bad Kitty should win the dragons award because kitty is a crazy character. Kitty is a pretty crazy character! Kitty’s antics never cease to amuse me. Thanks for the comment and happy reading! I think that Ghosts should win because it looks really cool. Ghosts is definitely a cool book! I hope you’ll read it if you haven’t already! Bad kitty because its a very funny book other people said it was hilarious. I love funny books and bad kitty is one of the funniest. I hope you get a chance to read it for yourself and decide if it is funny. I think Bad Kitty should win because I once gave my cat bath and he jumped so high!. That’s really funny! It’s cool when a book reminds you of something that happened in your own life. I’m glad you liked Bad Kitty! I think that Ghost should win because it is funny and has a weird story line to it.And make a great book i think. I am glad that you liked Ghosts. You are right that it does have a unique story. I am glad that you read it and enjoyed it. I am glad you got hooked on reading Bad Kitty. It is a really funny story. There are not many characters that are as funny as Bad Kitty. I think Frindle is the best because its funny. Frindle is a really funny. I am glad you liked it. It is always great to find a funny book to read. I think Ghost should win because It has the best trailer. I am glad you liked the trailer. I hope that you get a chance to read the book too. It is a really great book. I think Ghosts should get the dragon award because it is really funny and interesting and it makes people want to read it. It sounds like you are a good campaigner for Ghosts. I am glad you liked it so much. Hopefully you can convince some friends to read it and vote for it as well. I think Ghosts should win because it is interesting and it is a cool book. Ghosts is a really cool book! I am glad that you liked it. I think Ghost should win dragon award because it has a lot of info and it seems like a amazing book to read. I hope that you get a chance to read Ghosts it is a fun book. I think books that help you learn something are always interesting. I am glad you like Ghosts. Raina Telgemeier’s books are incredible. I am glad that you like this one as well. Hopefully she will have another new title soon. I think Ghosts should win because it has good detail. I am so glad that you liked Ghosts. A lot of detail can make a story very interesting and can make it is easy to imagine. I think Ghost should get it because it looks interesting. Hi John! I hope you get a chance to read Ghosts to see if the story is as interesting as it looks. Let us know once you read it if it would be your top choice. I think Ghosts should win because i am obsessed with this authors books and they are so funny. I do really enjoy Raina Telgemeier’s books as well. She has a great way of weaving the story and the art together to make it really a delight to read. I think Bad kitty should win the Dragon Awards because it has the funny characters. I agree that it is hard to find someone quite as funny as bad kitty. Funny characters can make a story really quick and enjoyable to read. i think that Ghosts should get the Dragon Awards because it is really interesting and funny. I am glad that you liked Ghosts. It is a unique story and has some very fun moments. I think Ghosts should win because I like the author. I really like Raina Telgemeier’s graphic novels as well. Smile is an all time favorite. I think Bad Kitty gets a Bath should win Dragon Awards because it is a very good book. I am glad that you liked Bad Kitty. I think it is a very funny book. I think theTale of Emily Windsnap should win the Dragon Award because it is really good. Emily Windsnap is really good! What did you like about the characters? I really like the strong friendships that Emily makes in the story but the best thing, there are so many more! Thanks for the comment! i think Frindle should win because it is funny. Frindle is a really funny book! Do you have a favorite part? What made you laugh the most? Thanks for the comment! I think Ghosts should win the award. Why do you think Ghosts should win? Did you find it the most intriguing story out of all the books? What aspects of the book did you like? Thanks for the comment! Bad Kitty should win because it seems interesting. I am so happy to hear that! Why do you think it would be interesting? Do you have a favorite part? Thanks so much for the comment! I love Bad Kitty gets a bath because I once had a cat/kitty and I tried to give him a bath. I have tried the same thing with previous cats…both parties were never happy in the end. Thanks for your comment and happy reading! I think Ghosts should win the Dragons Award because it is a very interesting book. I am glad you found it so interesting! Have you read any of Telgemeier’s other books? They are just as interesting! Thanks for your comment! Ghosts is a great fiction book about families and being an older sibling, and friends. Thanks so much for your comment! I think Frindle should win the Dragon Award because it is funny. Frindle is indeed a very funny book. Humor always makes reading go by so quickly if there are laughs involved. Thanks for the comment! I think frindle is going to win becuse it is my all time favret!!!! Frindle is one of my favorite books as well. What made you like it so much? I enjoyed that I got to laugh a lot while reading it. Who knew that so much trouble could be caused by a frindle! Thanks for you comment! i think that Bad Kitty should win because it is funny and easy to read. Bad Kitty is a fun read and fun character. What parts made you laugh the most? I liked how Bad Kitty was willing to go to extreme lengths to not take a bath. Thanks for the comment! I have snickered at Bad Kitty’s attempts get out of the dreaded bath many times too! Thanks for the comment! You are so right! Bad kitty attempts so many distractions, even the most ludicrous situations to get out of that bath. Thanks for the comment! Frindle is a fantastic book! Happy reading and thanks for the comment! I think Frindle should win the Dragon Award because it is one of my all time favorite books. It is one of my all-time favorites, too! Thanks for the comment! I think Ghosts should win the Dragon Awards because it is funny and you want to read more. Ghosts is very funny. Raina Telgemeier has a great sense of humor and I have enjoyed her other books too! Thanks for the comment! I think that Ghost should win the Dragon Awards because I watched the trailer and now I want to read the book. That is wonderful! I am so happy to hear that! Make sure to come to the library to borrow a copy. Thanks for the comment! I think ghosts will win the Dragon award but even though i have not read it yet i think it would be a interesting book. Ghosts does have a great plot and interesting characters. Thanks for the comment! I think Ghost will win the Dragon Award because it has a sense of mystery and drama. The mystery and drama in Ghosts does keep one reading. Thanks for the comment! I think Frindle is a good book because it has good characters and has good dialog. Hi Lawrence! Frindle is a good book and very funny because of the characters and dialogue! Thanks for the comment! I think that the Dragon Award should go to Ghosts. I think that because the trailer seems very interesting and it looks like it is a very good book. Ghosts is a very interesting book! Happy reading and thanks for the comment! I think Ghosts should win the Dragon Awards because it is a funny book and it has a good moral. Ghosts does have a nice moral. I really enjoyed how Cat learns to face her fears and put her younger sister before herself. I also enjoyed the humor as well. Thanks for the comment! Hi Kaedence! Yes, Ghosts does have a good message and not only gives the reader a peek into another culture but is totally relatable. HI I THINK THAT THE BOOK THAT WINS THE DRAGON AWARD SHOULD BE GHOSTS BECAUSE I LIKE IT. Ghosts was a fun book to read. Thanks for the comment! I believe that Ghosts should win the Dragon Award because it is a graphic novel with lots of words. You will never want to stop reading this book. That’s the sign of a good book, you never want to put it down! Thanks for the comment. I think Ghosts should win the Dragon Awards because it is different from other books and it is really entertaining. You are so right! Ghosts is a very unique book. Thanks for the comment! I think that Ghosts should win for the Dragon award, because the trailer is good and well made, It makes me want to read the book, And just from the cover it makes me want to read more. “Never judge a book by it’s cover”, but in this case yes, Ghosts is a really good book. I hope you get a chance to read it! I think Ghosts should win the Dragon Award because it`s a easy book to read and everyone and it`s for any grade level. It`s a good book to read and everyone can enjoy it. Hi Sam jr. Good pick! Thanks for the comment! Ghosts is a really fun read! I really liked it as well. Thanks for the comment! I think Ghosts should win the Dragon Award because it is a good graphic novel and it is a book most people would like. Why do you think most people would like it? I liked it because it was a story about sisters, and I have a few sisters myself! I think Ghosts should win because it’s entertaining and fun! Entertaining books are the best, because they make you want to keep reading more. Have you read the author’s other books? They are just as entertaining! The Dragon award should go to Frindle because it’s awesome! Awesome is a great word for Frindle. I am glad you like it! I think that Ghosts should win the Dragon Award because I have read the the book and it is very good and interesting. Ghosts is a great story about a family, friends, and siblings. It’s definitely interesting, especially if you have a younger siblings, just like the main character! I think that Ghost should win because I love the series and it is for every one because it is a graphic novel and thats why i think ghost should win! A lot of different kinds of readers of all ages can get into graphic novels, for sure. They are definitely for everyone! I am glad you like to read them. Why did you like Frindle? Did it make you laugh? Is it something you think could happen with you and your friends? I think that Frindle should win the Dragon Award because its a book that you cant pull away from also it is interesting and really really funny. Frindle is a very funny book. It is really hard to pull away from… Thanks for the comment! I think that Frindle should win because there is a good moral of the story, it is really funny, and it has a good story line. It’s always great when you can walk away learning something new after reading a book, especially if there is a good moral to the story! I know that Ghost should win Dragon Award its the best! The author really does draw you in with her storylines, doesn’t she? Have you read her other books? I think Ghosts should win The Dragon Award because it is very zoomed in and it makes you want to read more. Wouldn’t it be fun is there was a sequel? I would love to know more about their family in their new home! I think that all of the books could have won but the one that I would have gave the dragon award to is ghosts because it is really interesting and it is different from other books. This is tough call this year, we picked some very good books. Thanks for commenting and giving us your opinion on who should win! Hi macey! Have you read Ghosts? If not, I hope you get a chance to read it before voting opens up. It is a really good book! I think Ghosts should win the dragon awards because at the end it is interesting because the older sister gets to see her ant as a Ghosts.And It is funny that is why it should WIN! Spoiler Alert!! I am so glad that you liked the book and especially the ending. It can be disappointing when a story ends abruptly or has a sad ending. I think Ghost should win because it is interesting. I am glad that you found Ghosts interesting. Was there something specific that you liked? It is always fun to read a unique story. I would love to know what you liked best about bad kitty. Bad kitty is such a fun character that it is easy to enjoy the story for me. I think Ghost should win the dragon award because it is interesting. I am glad that you found the book interesting. Did you have a favorite part? I really like comic books so it is easy to enjoy this story. I think Ghost should win The Dragon Award because it is interesting that they can talk to Ghosts. Wouldn’t it be cool to talk to ghosts? I am glad that you liked this story and weren’t too spooked. I think ghost should win the dragon award because it is a comic book and it has good characters. Comic books are awesome! I love seeing the artwork and words together. Also, a good character can make the book worth reading. I am glad that you liked it. Don’t forget to vote in a few weeks. I think Ghosts should win because it is really funny and interesting and funny. I am so glad that you enjoyed Ghosts. It is always great to read a funny and interesting book. I think ghosts should win it is like a comic book. Comic books are a great way to tell a story. Thanks for the comment! I think Ghost should win the dragon reword because it is intetaining. Ghosts is a really good story. I am glad to hear that you enjoyed it. I think Beezus and Ramona should win, because it will make kids laugh and will entertain them. And it is a good book! Beezus and Ramona is a classic! It is definitely all of those things. I think that Frindle should win because it is interesting. I agree that Frindle is a unique story. Who knew that a frindle could cause so much trouble?! I think ghost should win the dragon award because it is mysteris and sad. I am glad that you liked Ghosts. Mysteries are some of my favorite books. I think Ghosts should win because it is interesting it has Spanish in it which really gives it character which means more learning. What an interesting reason to pick Ghosts as the Dragon Award winner. More learning is always good! I think Ghosts should win the Dragon Awards because it has action but it is still really funny. I love a story with action and comedy. Those are also some of my favorite movies as well. I think Ghosts should win the dragon award because it is interesting and funny and has a lot of action. I agree that I enjoy a story that has lots of action. It is fun to see how characters respond in new situations. I think that ghosts because it is a vary interesting to me. I am glad that you enjoyed Ghosts! It is a very interesting and unique story. I think Bad kitty should win because the other books are funny and this one might be too! It is the best when a book makes you laugh. There are so many hilarious situations in Bad Kitty and I definitely laughed at lot! Happy reading and thanks for the comment! I think Bad Kitty should win the Dragon Award because the cat has a sense of humor and it has a bunch of jokes. Kaden I agree that Bad Kitty is really funny! It is always great to read a book and have moments when you laugh out loud. I think bad kitty should win because the other books are funny and this book might be to! If you haven’t, you should read it. It is VERY funny! Thanks for your comment. Bad Kitty is a hilarious character! I am glad you read it and enjoyed it. I think that Bad Kitty should win the Dragon Award because it is really funny. I also think it is really funny. Bad Kitty definitely makes you laugh. Humor is a great facet when looking for new books to read. I am glad you enjoyed Bad Kitty! I think Emily Windsnap should win the Dragon Award because it is interesting. That book did have an interesting story, didn’t it. Thanks for the comment! I think theTale of Emily Windsnap should win the Dragon Award because a lot of detail and it is funny. Books with a lot of detail are so fun to read! You can really imagine the setting while reading. Thanks for the comment! I think EMILY WINDSNAP should get the Dragon award because in the trailer it looked very cool and interesting. I hope you’ll read the book after liking the trailer! Ghost,Bad Kitty,and The Tail Of Emily Windsnap are good books but I think Frindle should win the Dragon Award because it is a silly name for a pen and it will keep the readers attention. I’m glad you like so many of The Dragon Award nominees! Keeping your attention is what helps make a book great! I think that Frindle should win the Dragon Award because it is one of the best books of all time and it is really funny to and I love the video of the book Frindle. It sounds like Frindle is one of your favorites! It is definitely a funny book. I think The Tale Of Emily Windsnap should win Dragon Awards because the trailer seemed cool and interesting. And it made me anxious to read it. I’m glad the trailer made you interested in reading Emily Windsnap! I hope you enjoy the book even more than the trailer! I think Frindle should win the Dragon Award because it is a funny book that keeps readers hooked. It’s great when a book keeps readers hooked all the way through! I think that BAD KITTY should get the Dragon Aware because in one book she flips a car on the neighbors roof. That sounds like a really funny scene-Bad Kitty definitely gets into a lot of mischief! I think that Bad Kitty should get the Dragon Award because it looks cool and funny and I like funny books. I am so glad to hear you like funny books. If you do then you should read this one. It is a quick read and hilarious. Bad Kitty is a great main character and is always into something. I hope you enjoy reading it! I think that BAD KITTY gets a BATH should win the Dragon Award because, its pretty funny and detailed I think anyone who reads it would get a kick out of it! I totally agree! I am glad you liked the book so much. Bad Kitty is so hilarious that it makes it fun to read. I think ghosts should win the Dragon Award because its spooky and scary. Collin, I enjoy a spooky book too. I like that this book has just the right amount of scare and fun. I am glad you enjoyed reading it! I think Ghosts should win the Dragon award because its fun and spooky to read at the same time. Blake, I love a good spooky book. This is the best time of year to enjoy a story like this. I hope more people read it and have a fun, spooky time. I think Bad Kitty Gets A Bath should get the Dragon Award because it is interesting and hilarious. Emma, I agree! There is not much that is more hilarious than Bad Kitty. He gets in a lot of funny situations. I love Bad Kitty! I remember when I read the first book and I loved it. I really enjoy the illustrations with the story. I think Ghosts should win the Dragon Award because I LOVE comics. Ghosts is a great story! I really enjoy comics as well. The pictures and text working together to tell the story is awesome. I think The Tail Of Emily Windsnap should win the Dragon Award because the trailer looked interesting. Just like movies a good book trailer can really make the book seem interesting. I hope you get some time to read it and see if the trailer matches the book. I always enjoy a good mermaid story! I think Frindle should win The Dragon Award because it is very funny and it makes people want to read it. I agree! I enjoy any book that encourages people to read. I do think that Nick is a very fun character and the story is very clever. I think Findle should win the Dragon Awards because it is really interesting and funny. Frindle is a really fun book! I wish I were as creative as Nick. I think Frindle should win the Dragon Award because it is one of my all time favorite books. It is funny and it keeps the readers attention. Having a favorite book is great! It must be exiting that one of your favorites is a contender!